Vegan Chocolate Chip Muffins - Eat. Drink. Shrink. Yesterday was QUITE the day. While I’ve been running EDS since undergrad, I can confidently say that I’m not as tech savvy as I appear and learned so much yesterday. There are many aspects of running a website that go on behind the scenes and more so protecting it. EDS was unfortunately hacked yesterday and was an eye opening experience to how pervasive this problem is. As of today we are up and running, but still working out some remaining kinks as once they get in, you need to do an invasive clean up to make sure everything is gone. For those who came to EDS to find amazing vegan eats and weren’t able to access everything, my apologies! Lettuce pray that EDS runs like a well oiled machined that’s protected to maximum capacity. 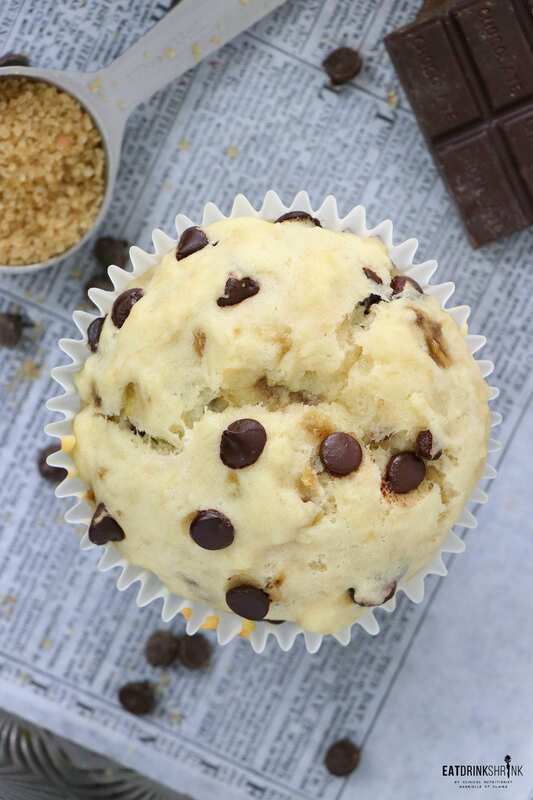 If you know me, the weekends call for a fab muffin. 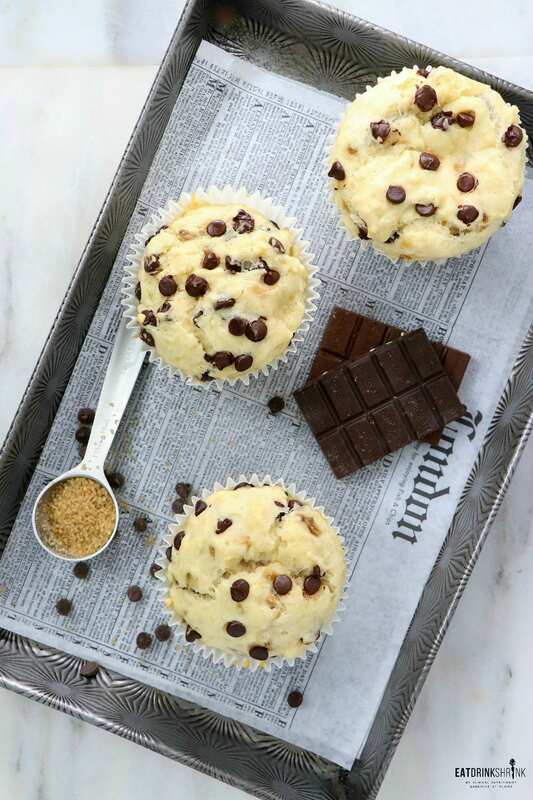 While I love to mix it up with fresh modern flavors, you have to cover the basics and these vegan Chocolate Chip Muffins were a must! Not what you’re looking for?! You can find muffin recipes for a Carrot Cake Muffin, Blood Orange Muffin, Blueberry Basil, Lemon Poppy Seed, Lemon Blackberry, Matcha Chocolate Chip, Cinnamon Pear, Triple Berry, Lemon Blueberry, Double Dark Chocolate Chip, Eggnog, Gingerbread, Peanut Butter & Chocolate, Dark Chocolate Strawberry, Orange Cranberry, Peach Oatmeal, Strawberry Basil, Raspberry Almond, Pumpkin Chocolate Chip, Cinnamon Apple, Blueberry Almond, Green Machine ,Lemon Rosemary, & Dark Chocolate & Raspberry muffins! What’s fab about these muffins, is everything! 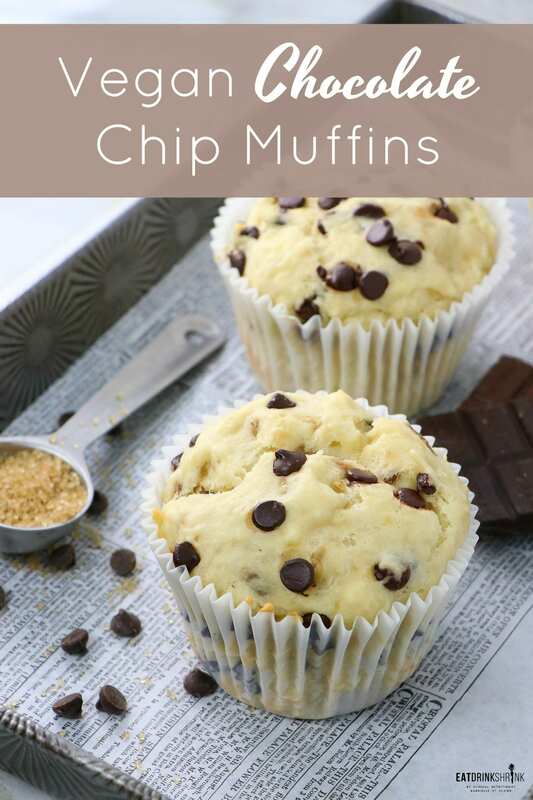 It’s my quick and easy staple muffin recipe, affordable, perf for any season, butter soft, packed with chips, great for entertaining, and has been a great treat to have on hand when I want a bite of something sweet! 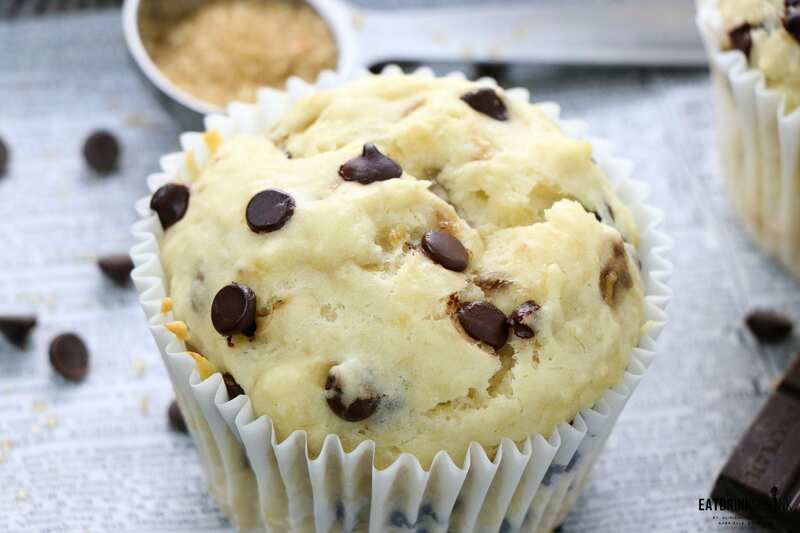 If you love all things chocolate or crave that perf vegan muffin, this is it! 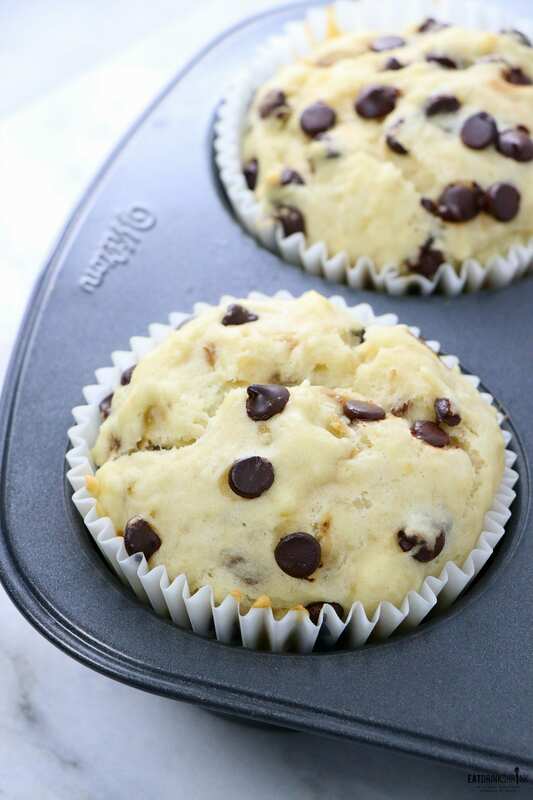 You have to try these vegan Chocolate Chip Muffins!! 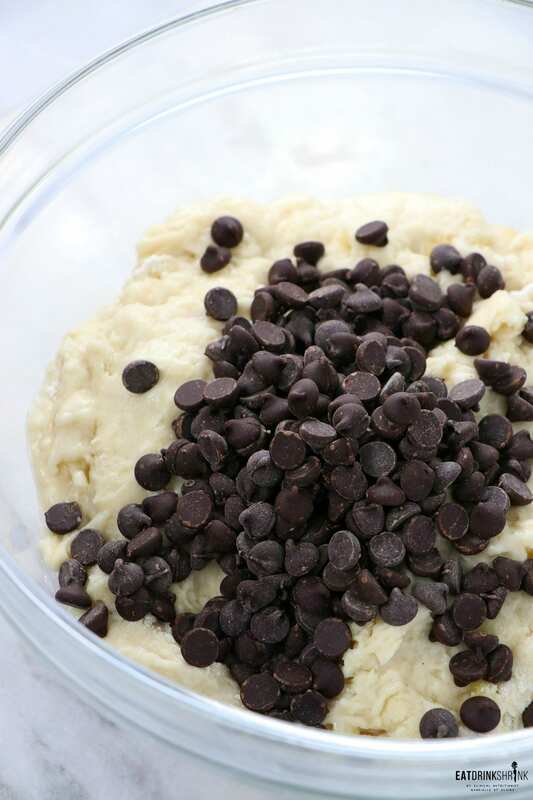 Whisk the flour, baking powder and salt in a large bowl.Add melted coconut oil, sugar, mashed banana, almond milk and vanilla extract to a bowl and whisk until smooth. If the mixture is too cold and coconut oil begins to solidify, simply pop in the microwave for a few seconds. Add wet to dry ingredient lightly combine. Do not over mix. 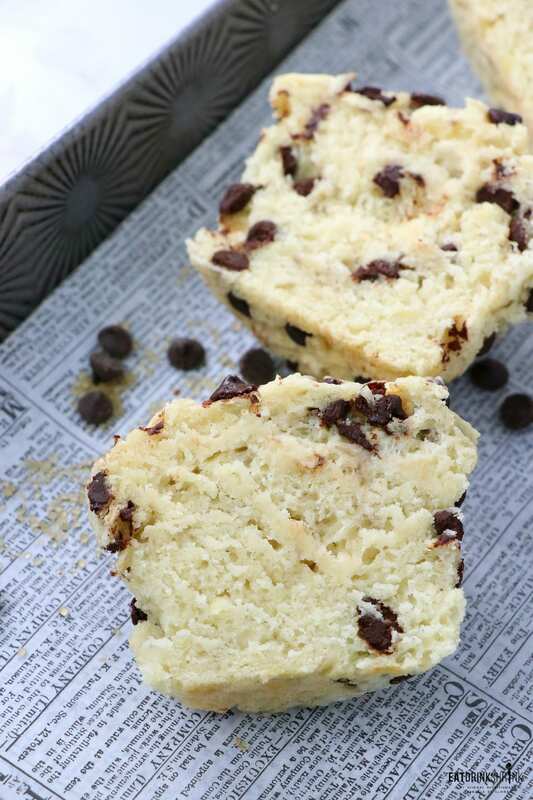 (The muffin batter will be quite thick) Fold in the chocolate chips. 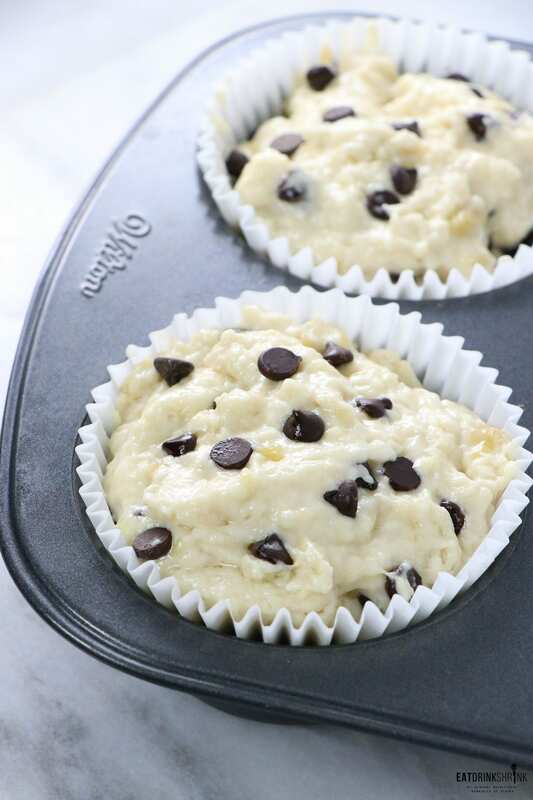 Fill batter into the muffin cups. Top with additional chipsBake for 15 minutes or until a toothpick is inserted in the middle and comes out clean. The larger you make the muffins the longer it will take to cook thru. If the tops begin to dry out simply make a tent with aluminum foil and continue baking. I do this with all muffins to preserve the tops!